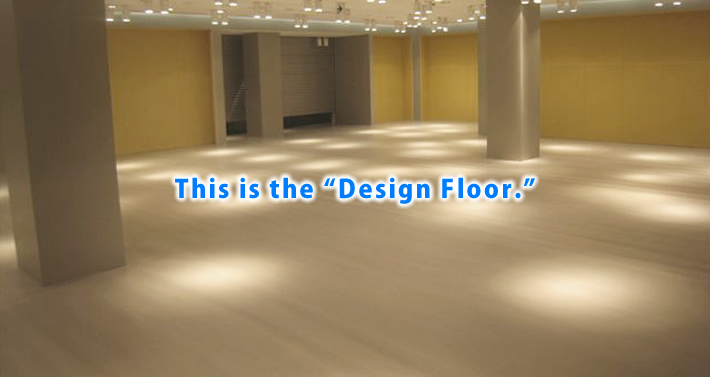 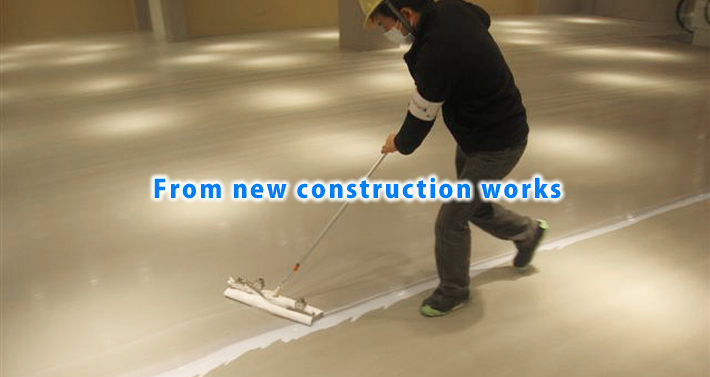 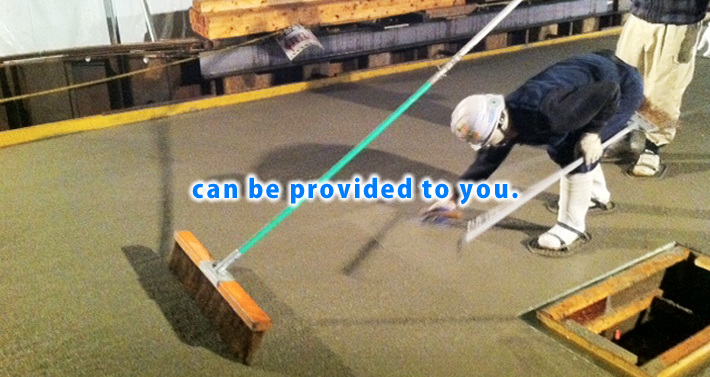 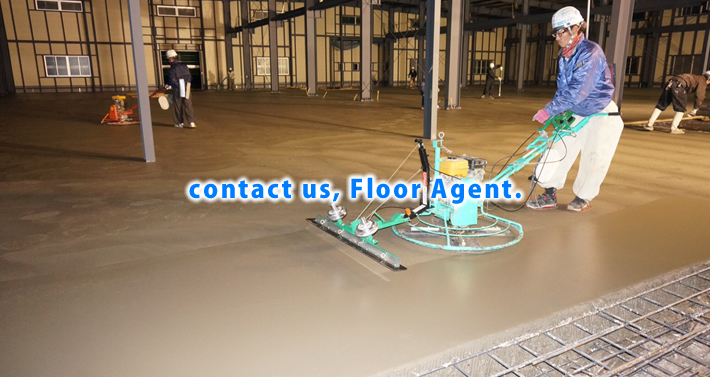 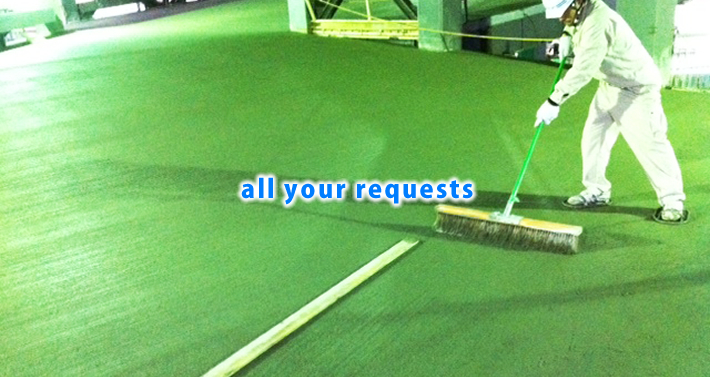 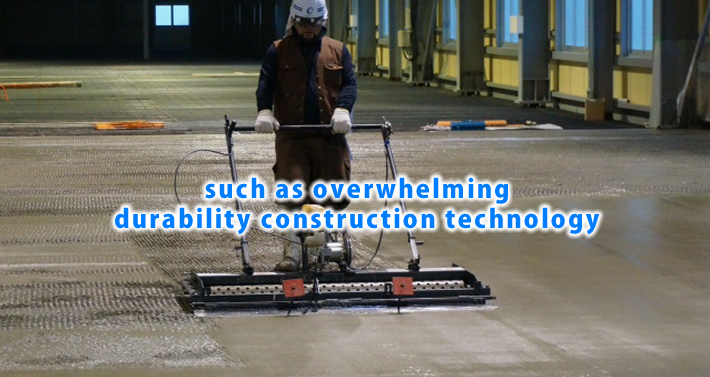 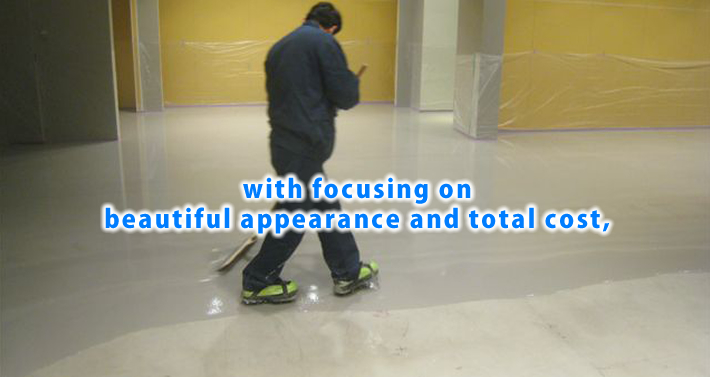 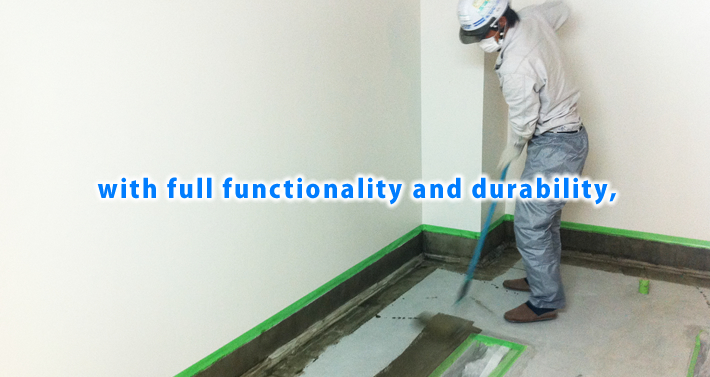 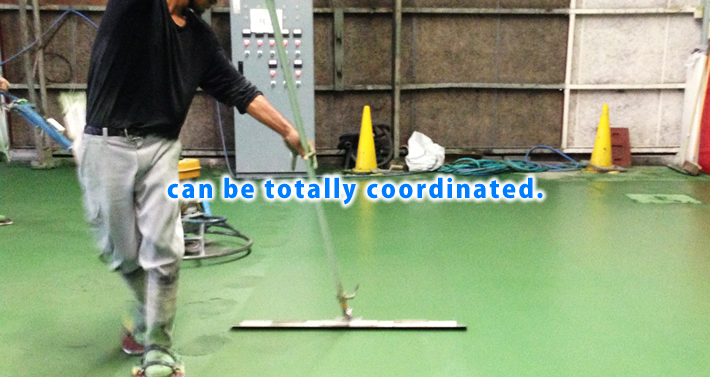 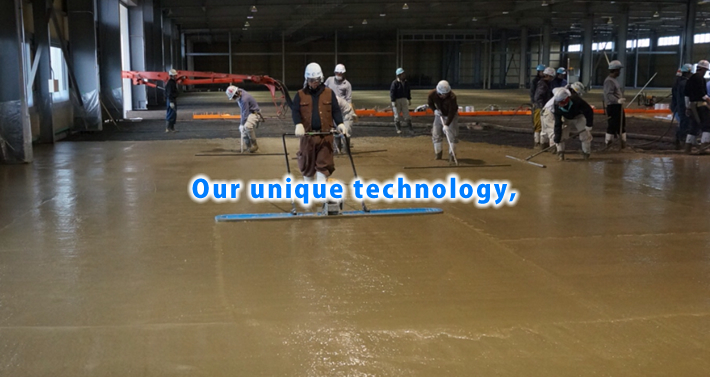 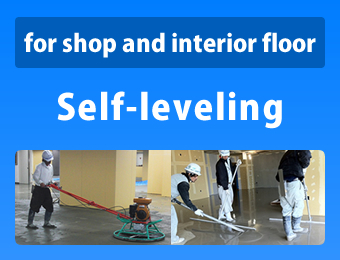 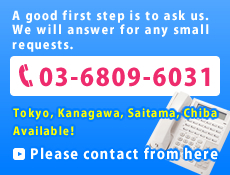 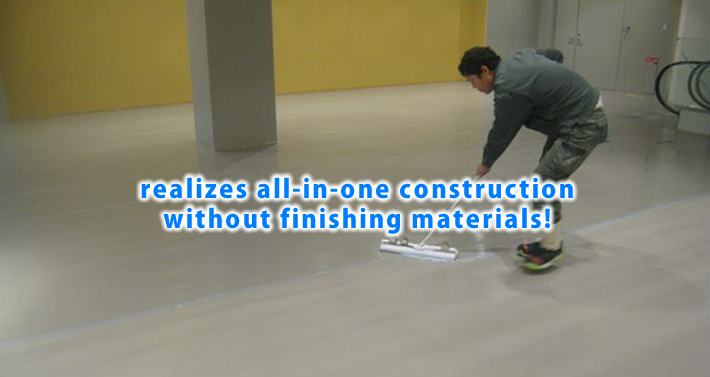 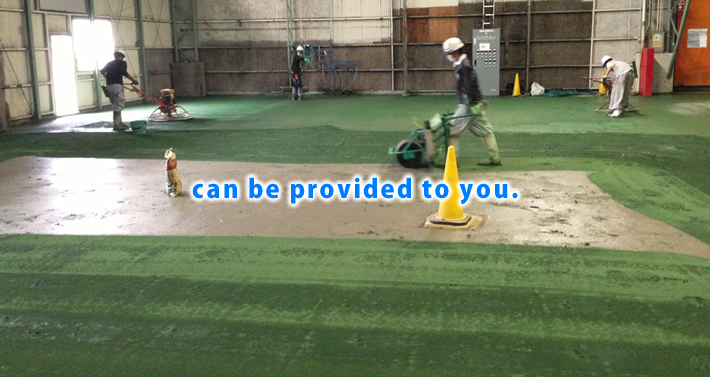 For concrete floor constructions and dirt floor constructions in Tokyo, Saitama, Chiba, and Kanagawa, take advantage of Floor Agent! 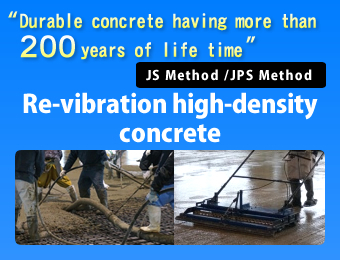 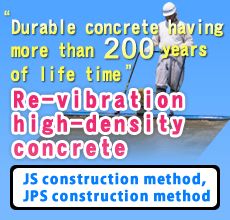 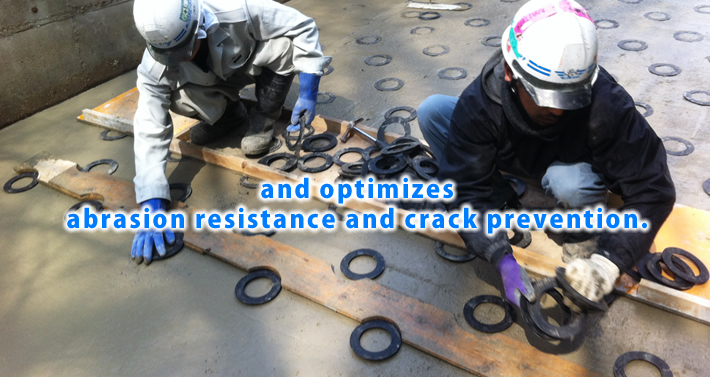 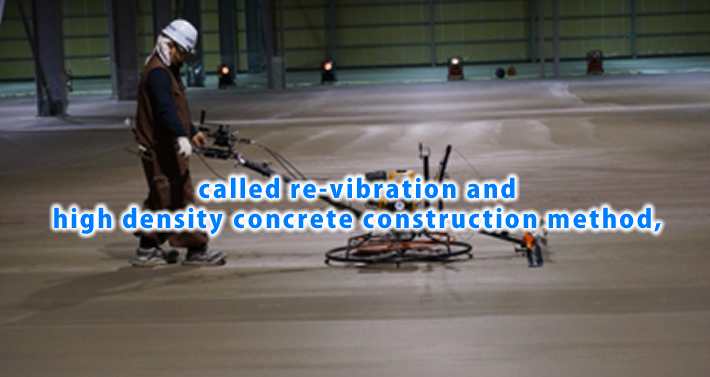 This is a new construction method allowing reduction of construction time and processes, reduction of total cost, and also improvement of durability and life, and increase of asset value by all-in-one construction with re-vibration of high-density concrete. 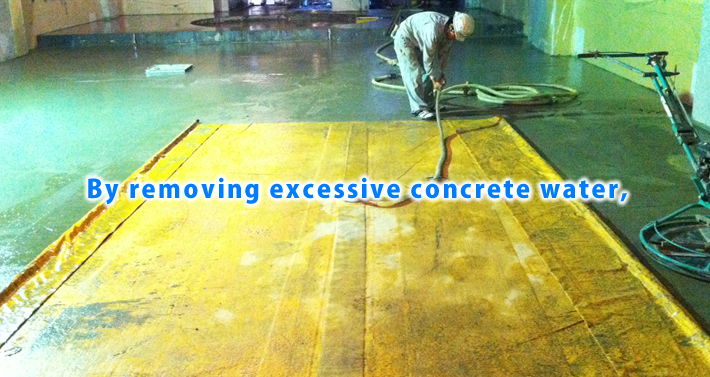 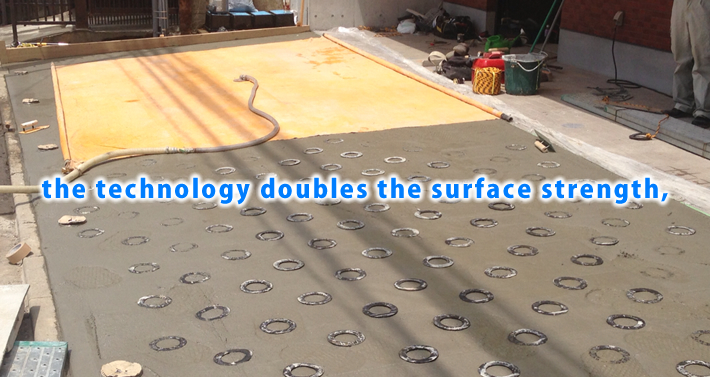 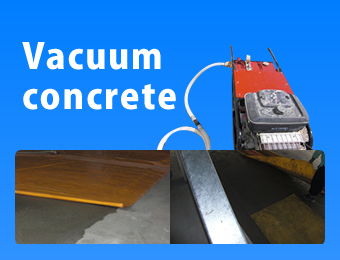 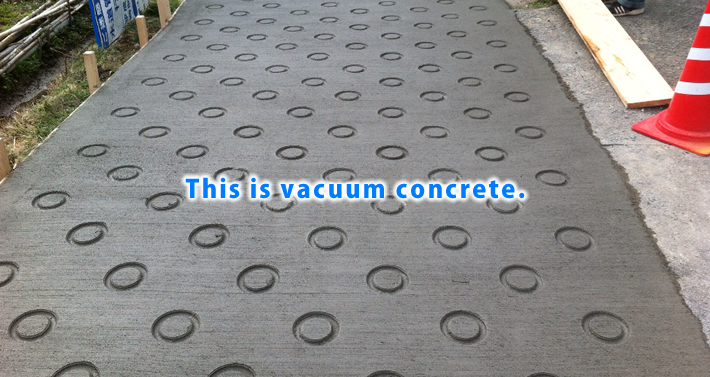 With this method, excessive water inside concrete and involved air (air contained in ready-mixed concrete) is removed. 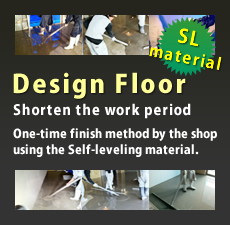 As a result, construction time is shortened and durability is improved. 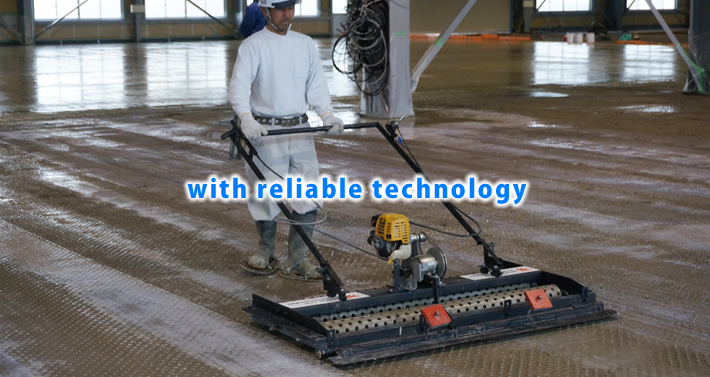 Our experts conduct a high-quality process from substrate treatment to concrete filling rapidly and safely, allowing labour saving and short construction time! 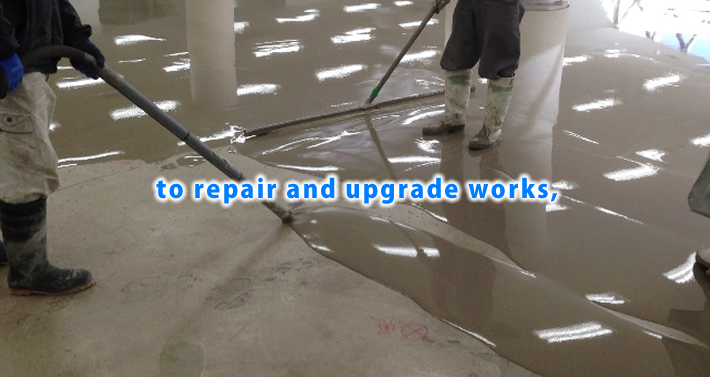 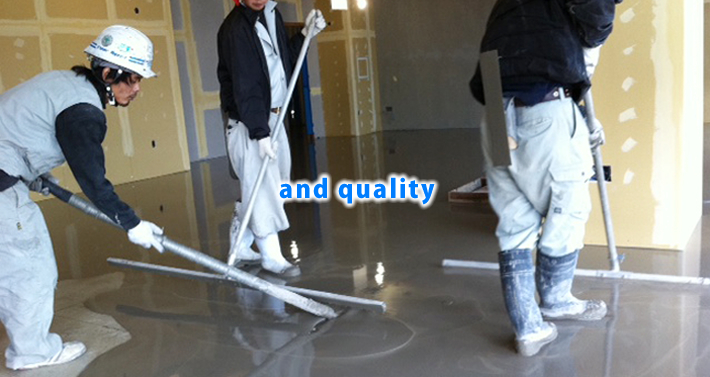 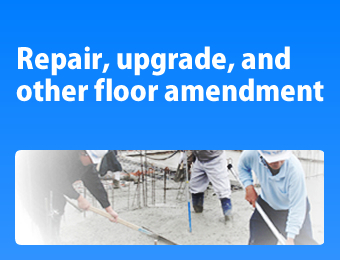 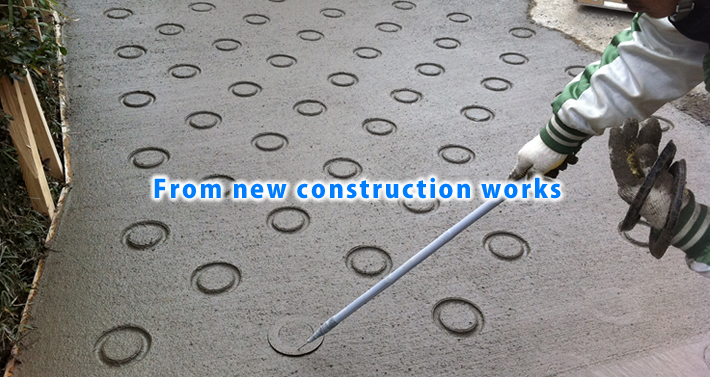 Ask us not only new concrete placement works, but also repair, upgrade and amendment of existing floors. 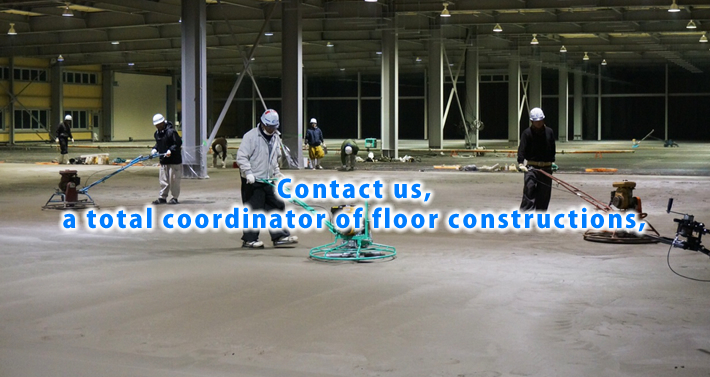 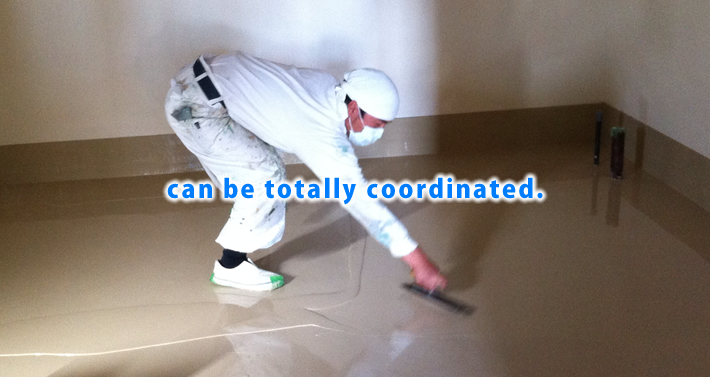 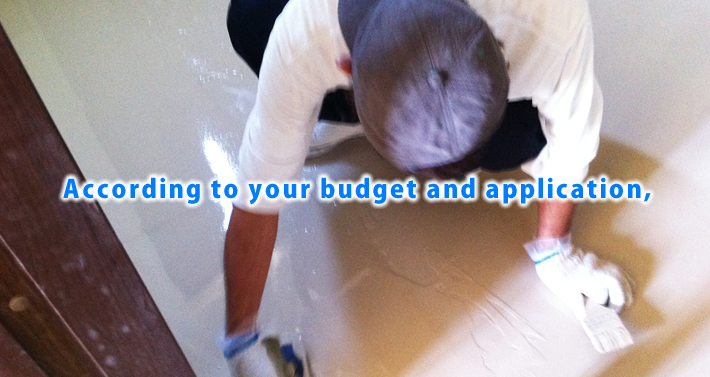 If you are in trouble with cracked, corroded, or wet floors, consult us. 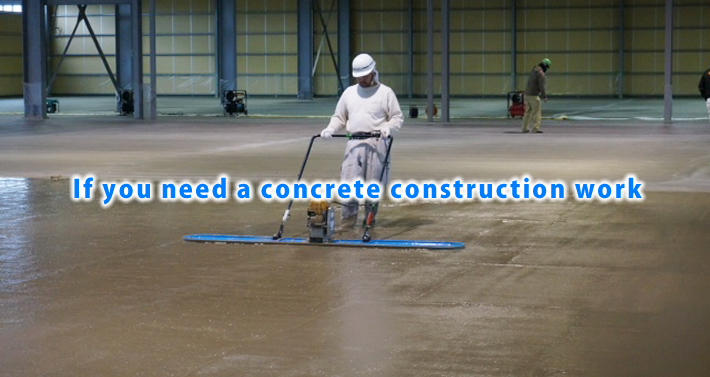 We can provide various options including construction time and cost. 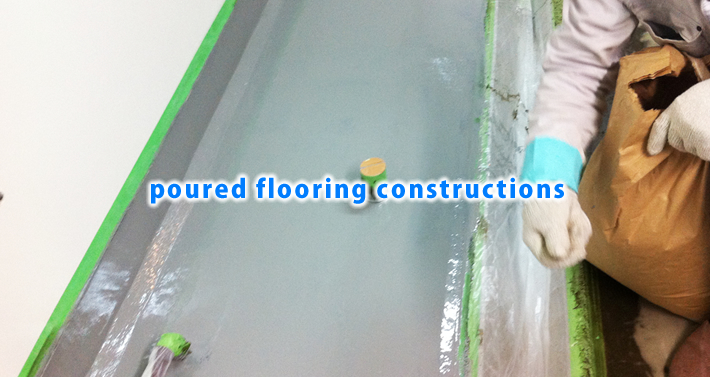 Poured flooring, Urethane, Epoxy, etc. 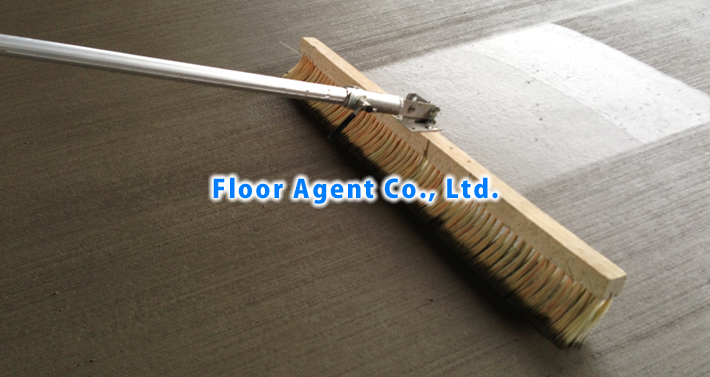 Copyright © Floor Agent Co., Ltd. All Rights Reserved.